What comes to mind when you hear the word “peace”? Serenity, quiet, calm, freedom from disturbances, no problems? Yes, peace can be all that, but it can also be much more. In fact, the Peace that Jesus gives us believers, can be found in chaos. His Peace is not dependent on outer circumstances, for it dwells within us. A good example of this would be in some events that unfolded in my life recently. I was awakened early one morning by a text message from my bank. It said my account was over-drawn. My half-awake mind tried to process the validity of this as I got up to find my checkbook. Not being an early morning person, my day already had the tendency to be off to a bad start. Now, I am not superstitious, but under the circumstances I was a little bit tempted to be swayed towards negativity. After an un-eventful breakfast we drove to the ATM where I planned to withdraw some money from my savings. The ATM had a sign “Out of Order”. if she processed my transaction she would have to charge me a fee. Trying to keep my cool, I left and proceeded to the drive-up ATM, which of course, had two cars ahead of me. Then it started to pour rain, on what was supposed to be a bright warm sunny day. What did I do? Did I lose my temper? Did I let frustration overcome me? Did I get discouraged and blame it on “Friday the 13th”? No! Because something inside of me said “enough is enough” I was not going to let the enemy steal my joy and destroy my peace. As I claimed the day for Jesus, a peace came over me and the enemy retreated. Instead of just going to deposit the money in the supposedly overdrawn account I decided to take the time to go inside the bank and talk with them. I prayed for God’s favor. I ended up being greeted by a very pleasant young lady banker who reviewed my account and finding no errors, credited the overdraft fee back into my account and got everything all straightened out for me very easily. That gave me an opportunity to witness to her about faith, belief and the peace that believers have in Jesus. It is not just about saying a prayer “that works” but living a life where we are in constant communication with the One in whom we believe—receiving His peace as we abide in Him. Do things always work out easily or with out problems? 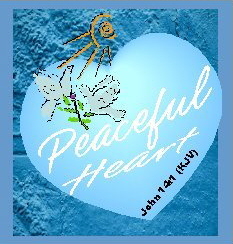 No, but Jesus’ peace can be felt in the midst of the chaos or problem, for His peace does not depend on circumstances. 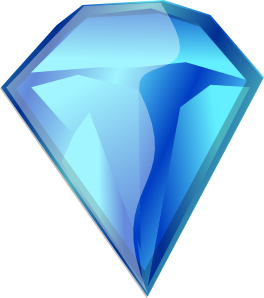 Last month I remember reading in the news about the discovery of a rare blue diamond in a mine in South Africa. It was the size of an acorn and was worth millions of dollars. 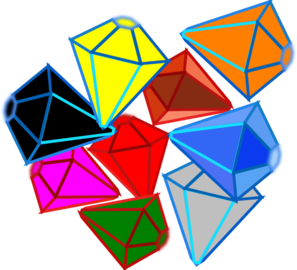 Previously, other rare diamonds had been found in that same mine which were also very valuable. I am sure the company that owes the mine is very pleased to have found such riches. Many people would love to have found such monetary wealth, however, as we have often seen, money and/or material possessions are not something that automatically brings happiness, for many people with such wealth are not happy. Money is necessary in this life to purchase the things we need, however, many people who “have it all”, money and material wise, often say their life is empty or unfulfilled. So what good are riches if they don’t bring happiness ? There are riches that do offer happiness. They are God’s spiritual blessings in Christ. Riches are not just defined as monetary, they can be large amounts of possessions, but not necessarily material possessions. Therefore, believers have been given many good and perfect gifts, treasures and riches from God, our heavenly Father. Some of them are the redemption we have through Christ’s shed blood, the forgiveness of sins, the riches of God’s grace and mercy. They are the blessings of God’s kindness and favor towards us, the peace we have in Christ, and the wisdom, power, and might of the Holy Spirit who dwells within us. God has richly blessed us everything we need daily to live successfully in this world. We are rich in Him. We need nothing more. So let’s think upon this and stop looking to the world or our flesh for our supply. Let’s begin using the riches God has provided us with. Let’s begin digging deep in His word where we will find golden nuggets of truth that will be even more valuable than any blue diamond ever could be. Let’s walk in the many blessings we have been given and we will soon discover how rich we really are! 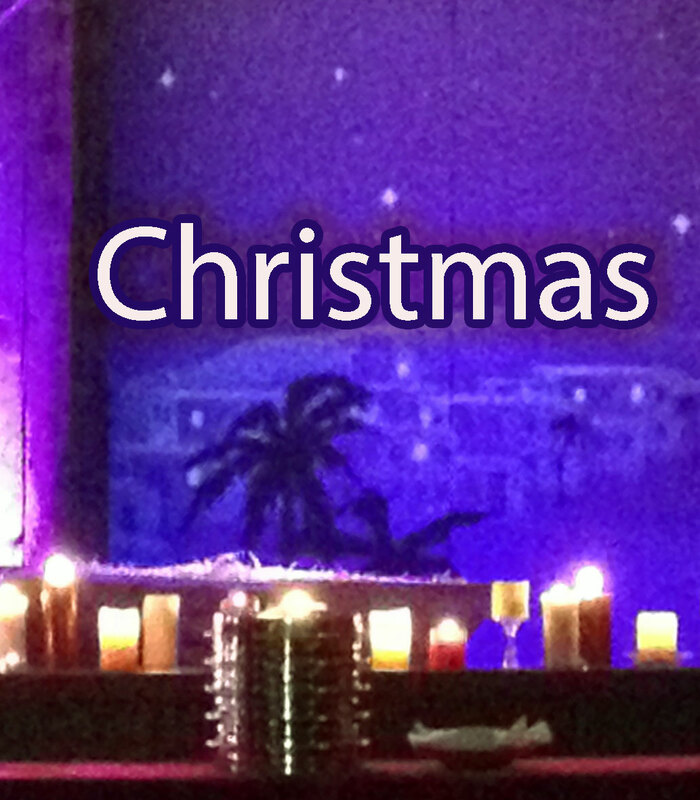 Christmas….it comes into our lives and changes things…once it enters, nothing is the same. Those were my thoughts yesterday as I packed away the rest of my Christmas decorations. Nothing interrupts, invades, or changes my life and surroundings like Christmas does. My ordinary days, surrounded by everyday mundane things, are suddenly transformed by Christmas! A tiny Christmas village completely overtakes the table in front of my window, and the other table in my hallway holds a small Christmas Tree filled with various sentimental ornaments collected over the years. Varied other decorations are placed here and there around the house, a nativity, an advent wreath….all reminders of Christ’s birth. Christmas Carols, Christmas Cards, and Christmas lights all add to the joy of the season. Oh, my home and life are so changed by Christmas, just as the world was changed, on that first Christmas so many years ago! For when Christ came, His presence changed this world forever. His birth was a miracle–one never to be repeated–It was a life changing event for many. His birth interrupted some shepherds ordinary night, and their life was forever changed. His birth transformed a lowly stable into the birthplace of a King. As His star shone in the sky it changed the lives of the wisest of men. His coming changed the world then and it is still changing lives now. How blessed we believers are to know Him and celebrate His birth as Christmas. How blessed we will be to be a part of His second coming–which will change our lives even more!